After analyzing the mechanism of action of the products from the group of the special magnetic bracelets from black leather with round accessories, we will understand why their use raises considerably the physical and the mental endurance and improves the achieved personal results up to 30%. The blood is fluid. The chaotic Brownian motion of molecules is characteristic for any fluid. The molecules of blood also moves chaotically, crash into the walls of the blood vessels that provide resistance to the blood circulation. 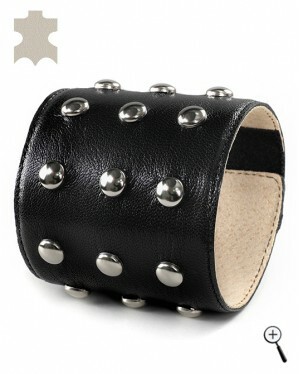 How the special magnetic bracelets from black leather with round accessories influence on that factor? Continue if you want to understand more.